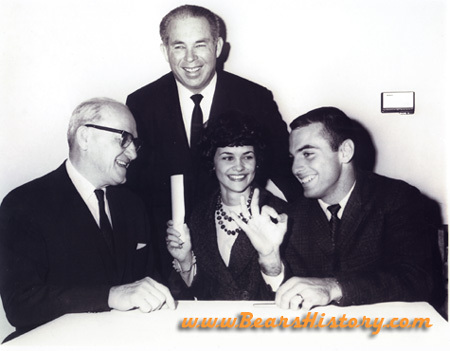 Brian Piccolo signs with George Halas of the Chicago Bears on December 29th, 1964. Piccolo's new wife Joy sits to his right. Ever the publicist, Halas gave reporters reason to think he may be announcing his retirement when he called a conference to announce the signing of an undrafted free agent. Piccolo at Wrigley Field before a game in the 1960's. This photo was taken by Ed Novak. 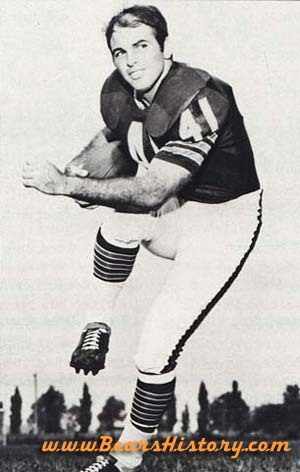 Piccolo strikes an action pose in a classic Chicago Bears player photo from the era. 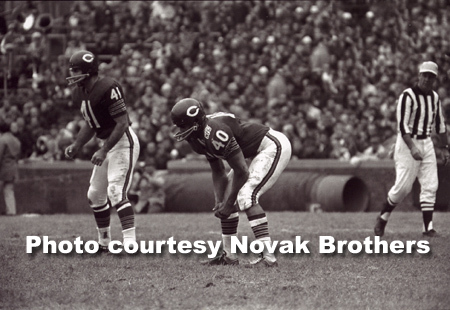 Piccolo lines up in the backfield with Gale Sayers in 1969, perhaps very shortly before he learned he was ill. Piccolo rarely saw the field as a backup halfback to Sayers and others his first three seasons. 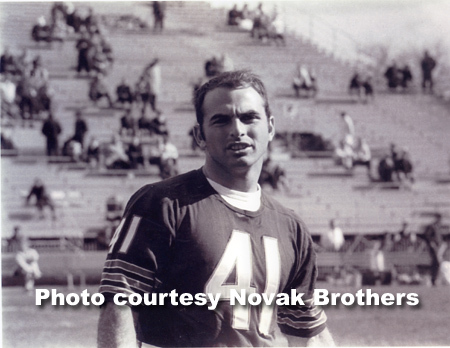 Finally in 1969, Halas made Piccolo second-string fullback, and when starter Ron Bull was injured, Piccolo realized his dream of teaming with Sayers. Unfortunately his illness cut short that dream. This photo was taken by Ed Novak.